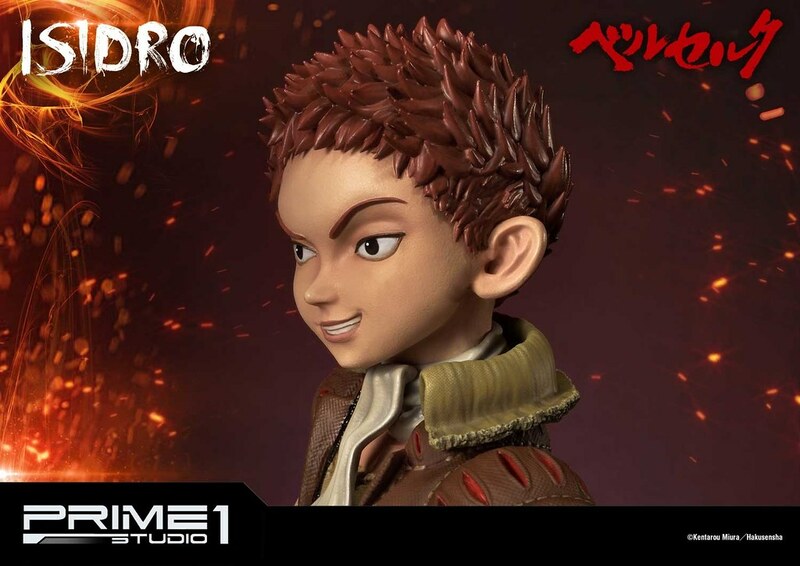 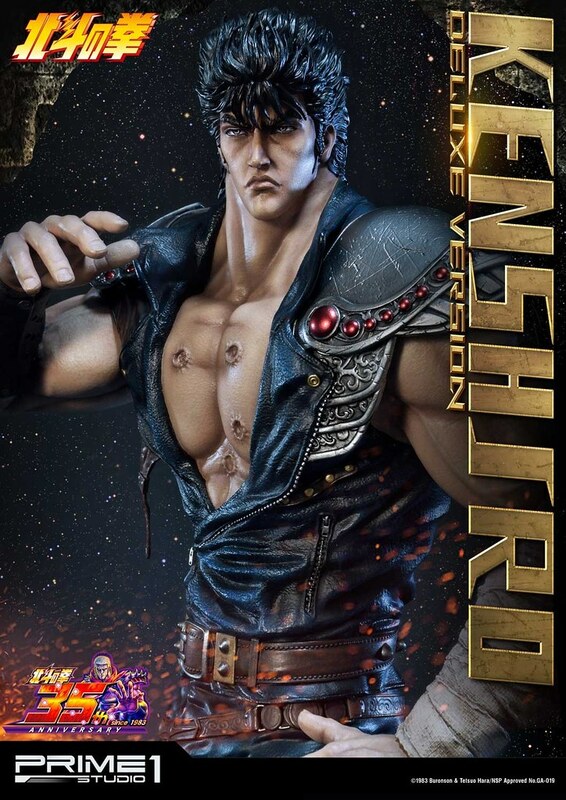 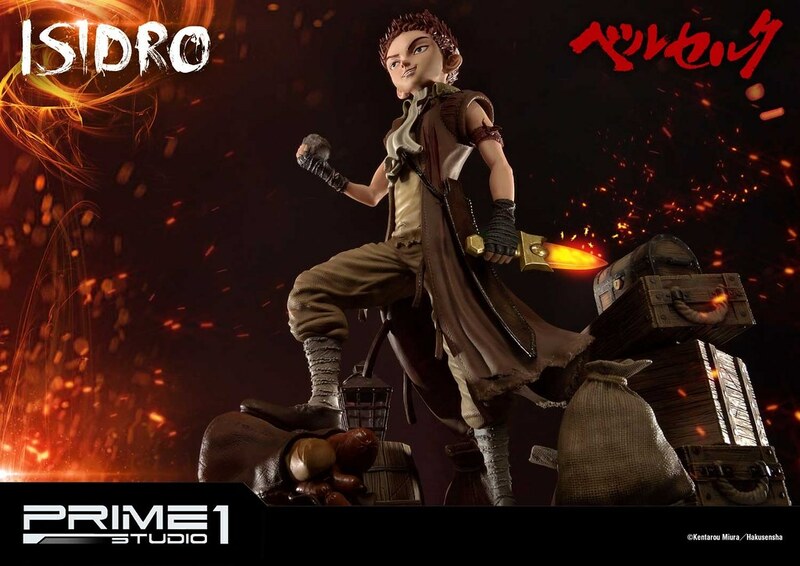 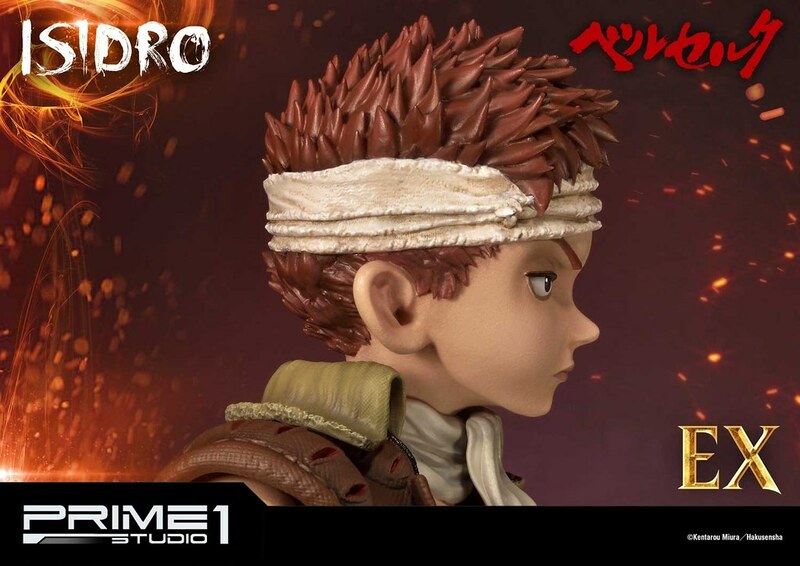 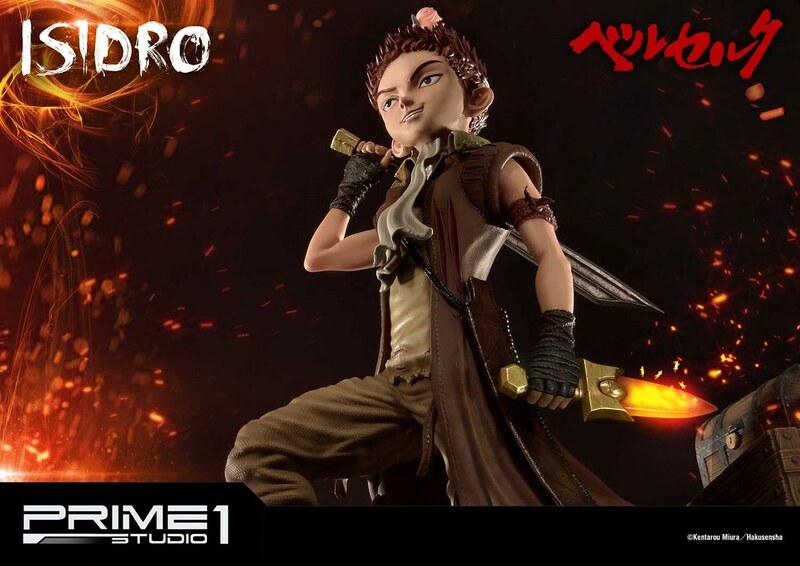 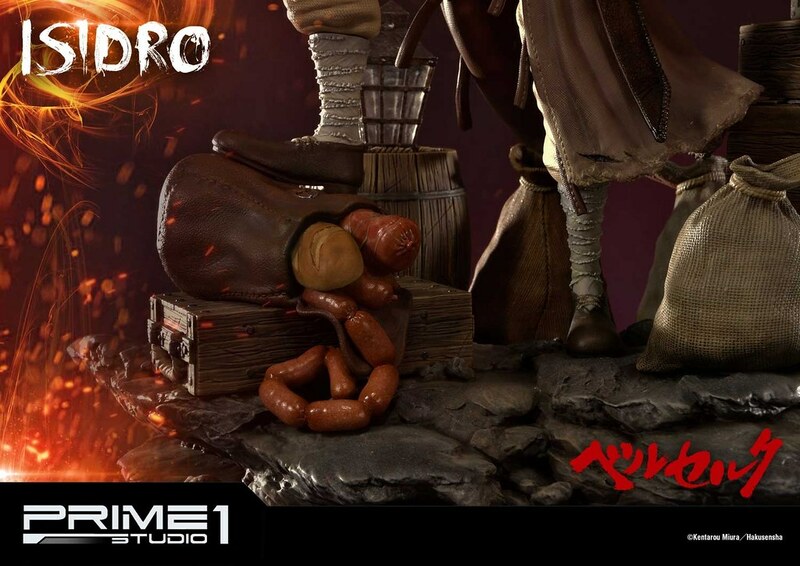 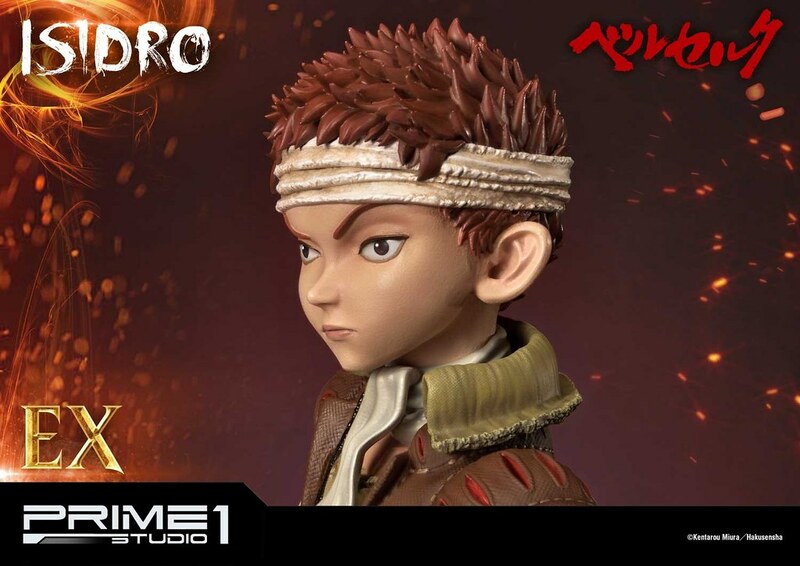 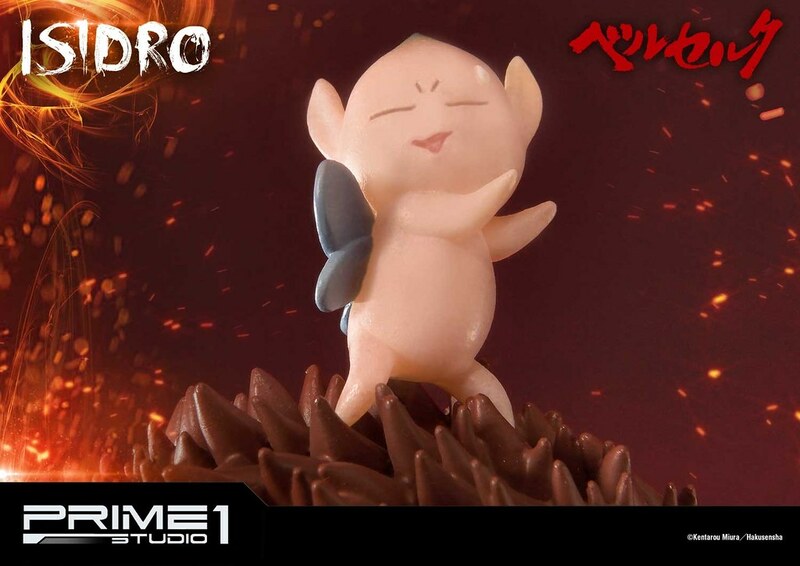 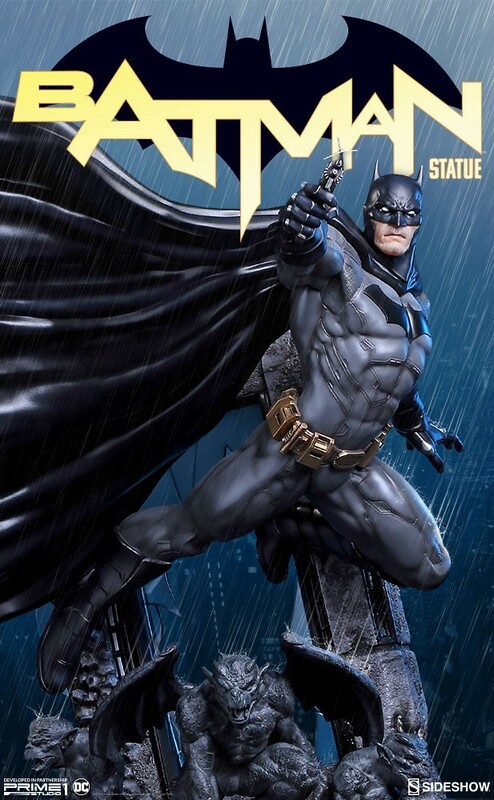 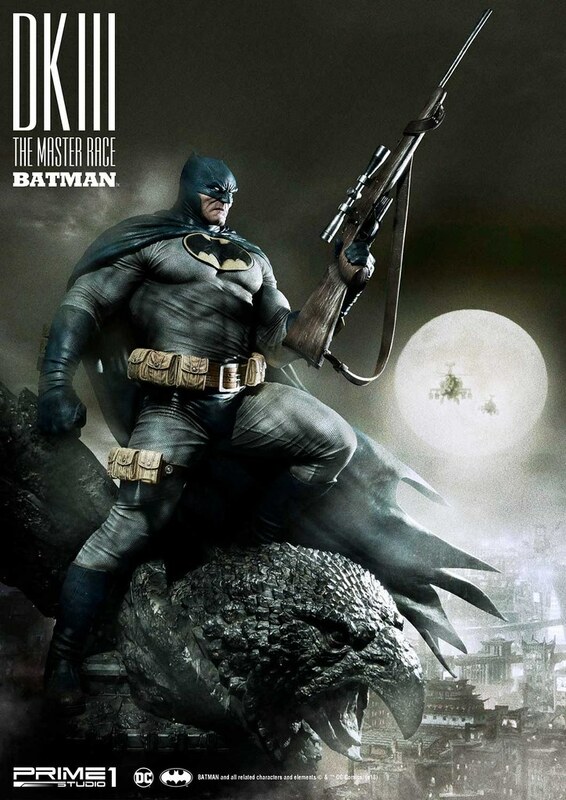 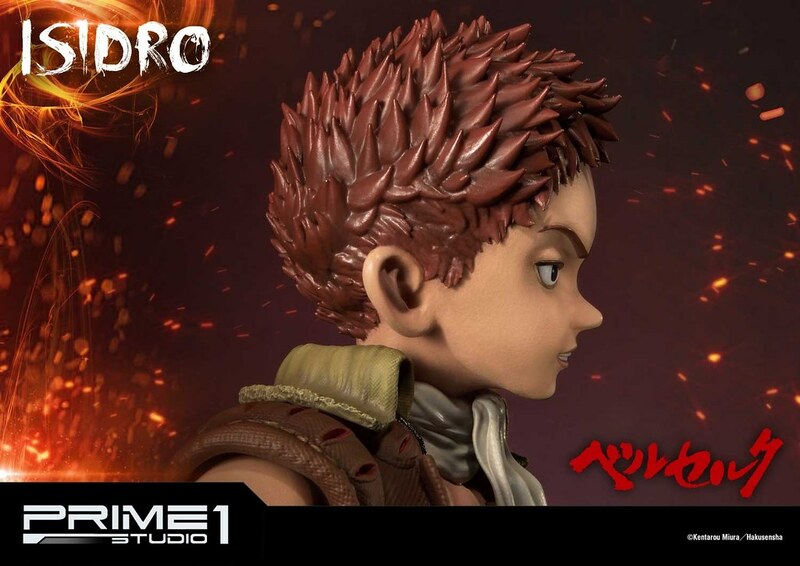 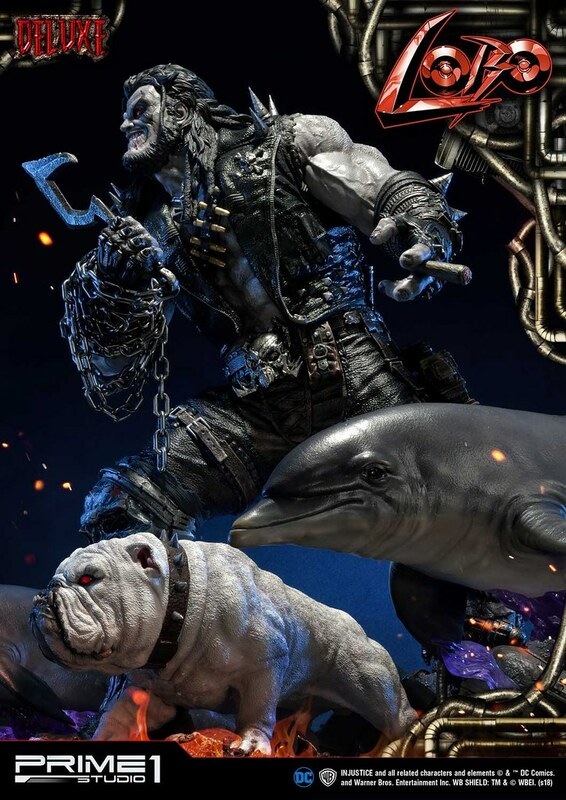 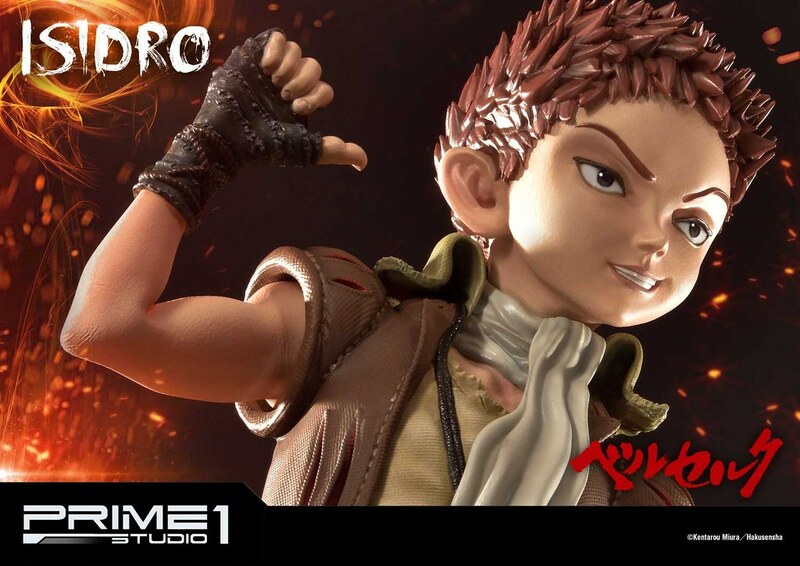 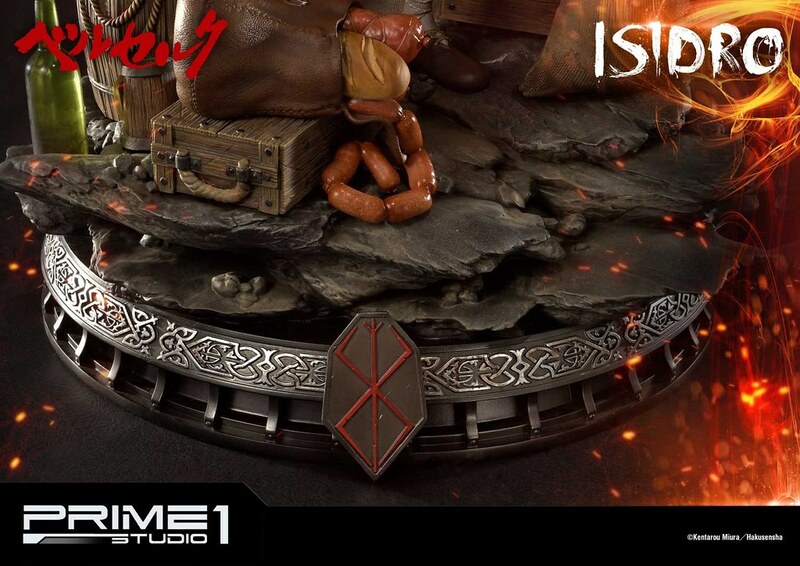 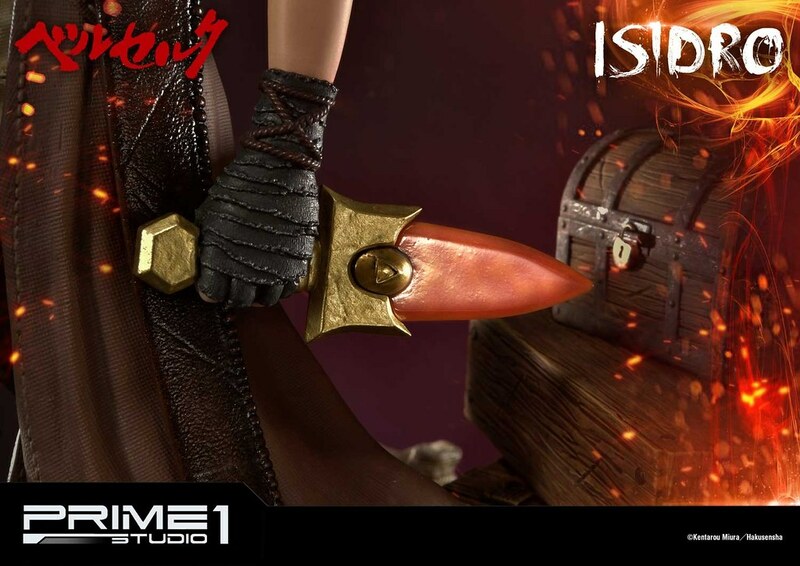 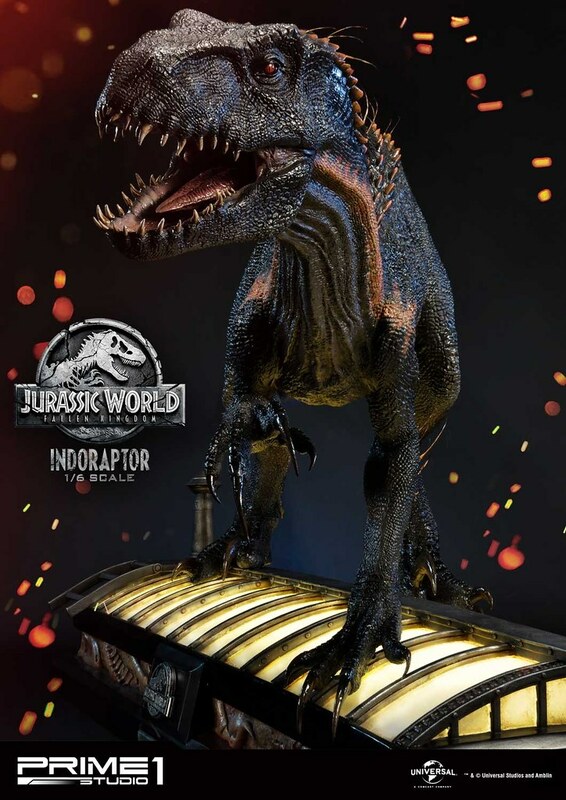 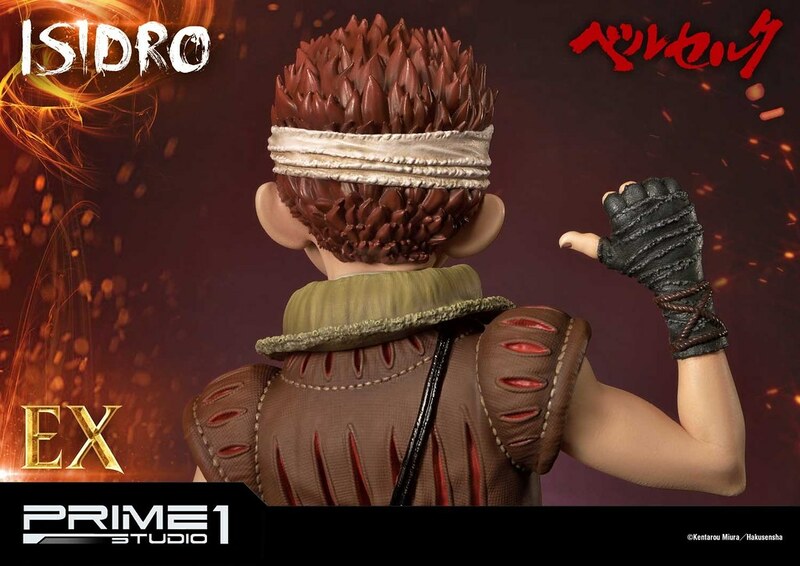 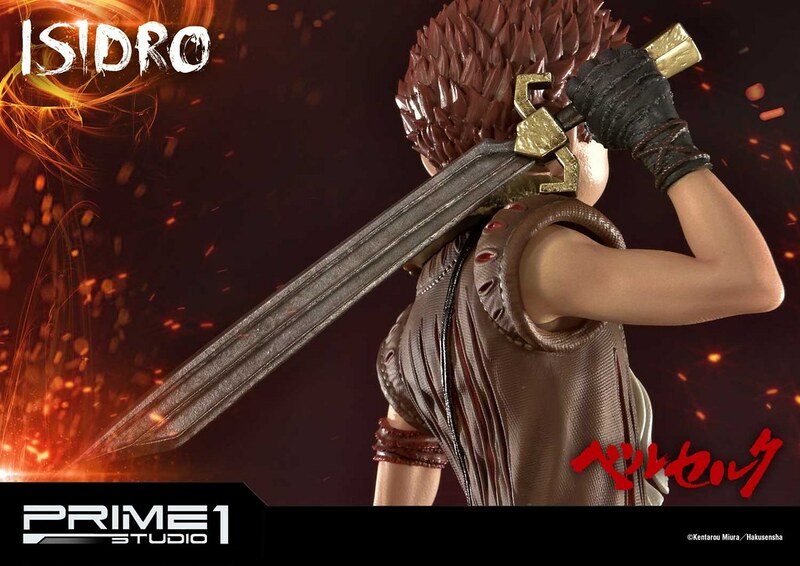 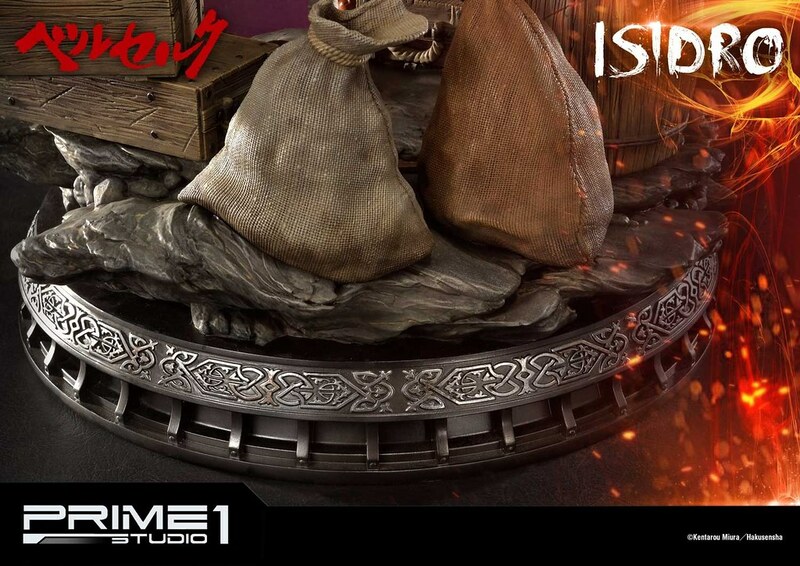 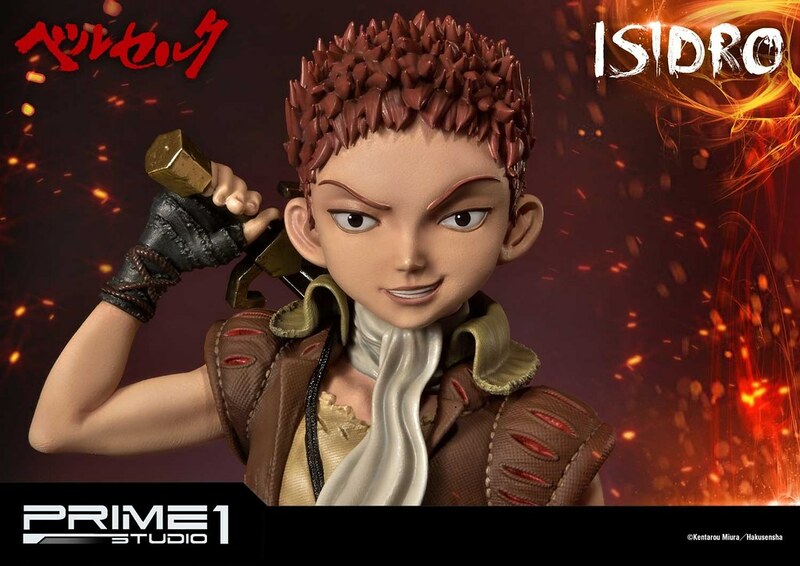 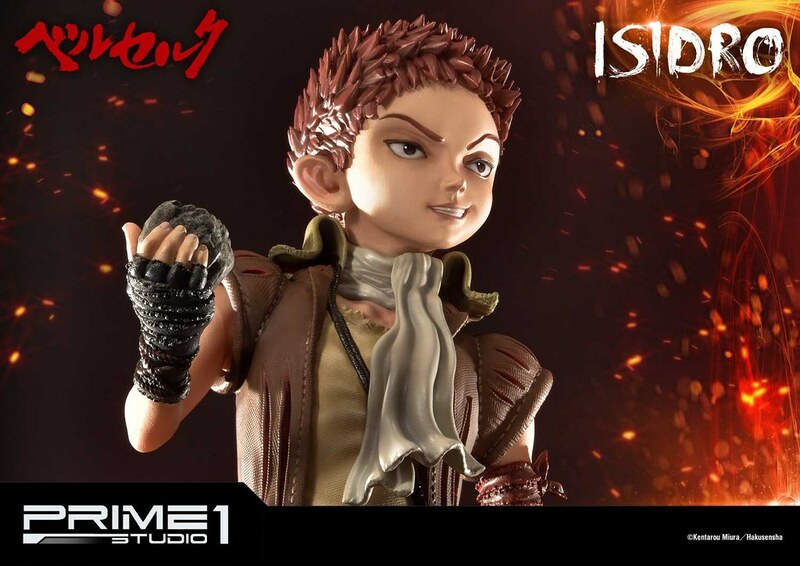 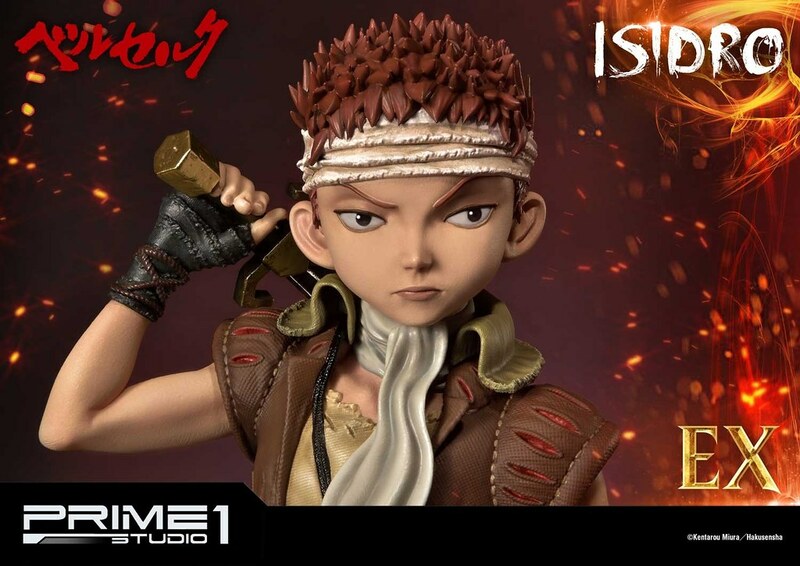 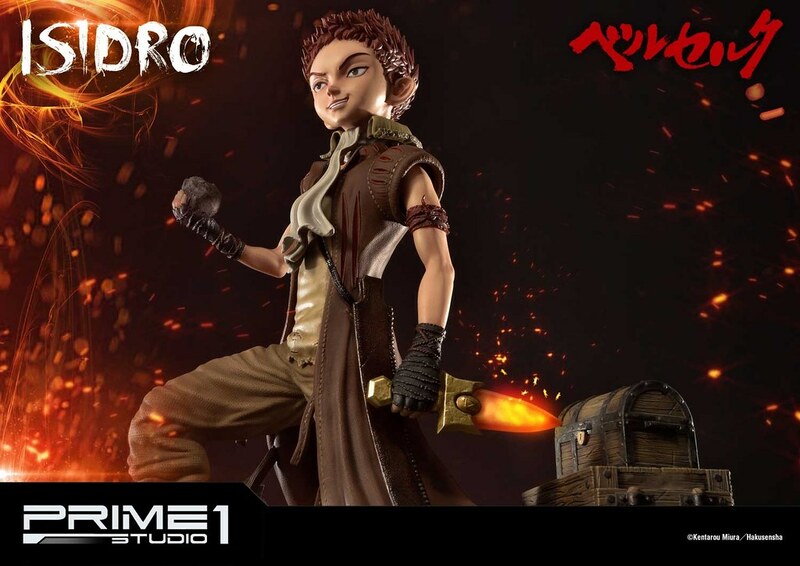 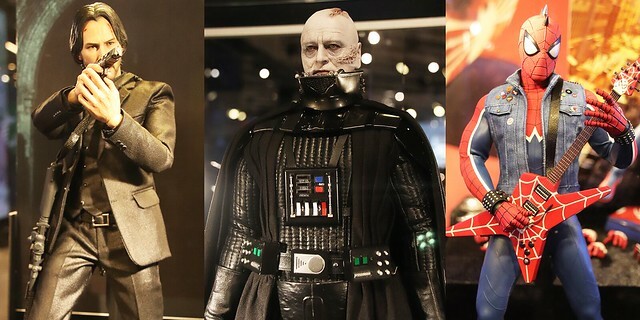 Japanese high-end statue brand Prime 1 Studio's "Ultimate Premium Masterline" series, after releasing Guts (Berserker Armor), Nosferatu Zodd, Griffith (The Falcon of Light), Femto (The Falcon of Darkness), and 1:1 Puck, recently announced Isidro 1/4 Scale Statue, estimate release date November 2019~ January 2020. 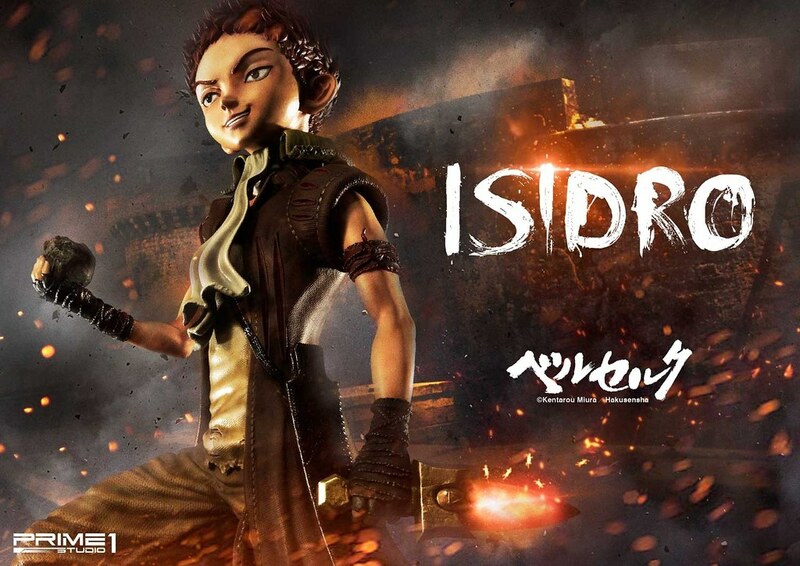 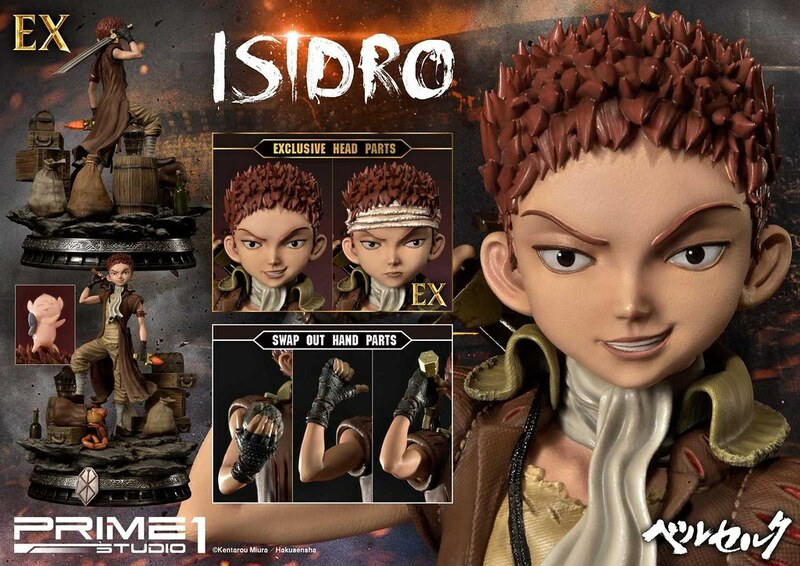 Isidro is not just a cunning teenage boy trying to make his way during the time of interregnum but dreamed to become the greatest swordsman. 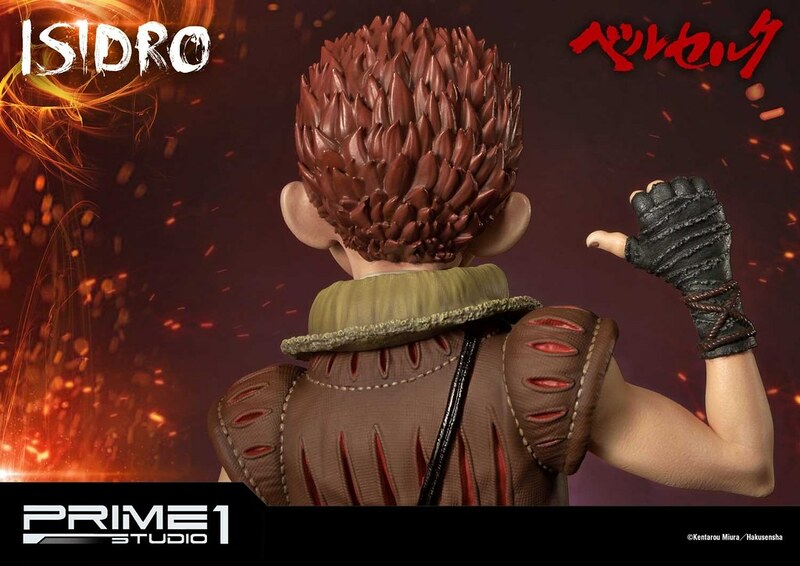 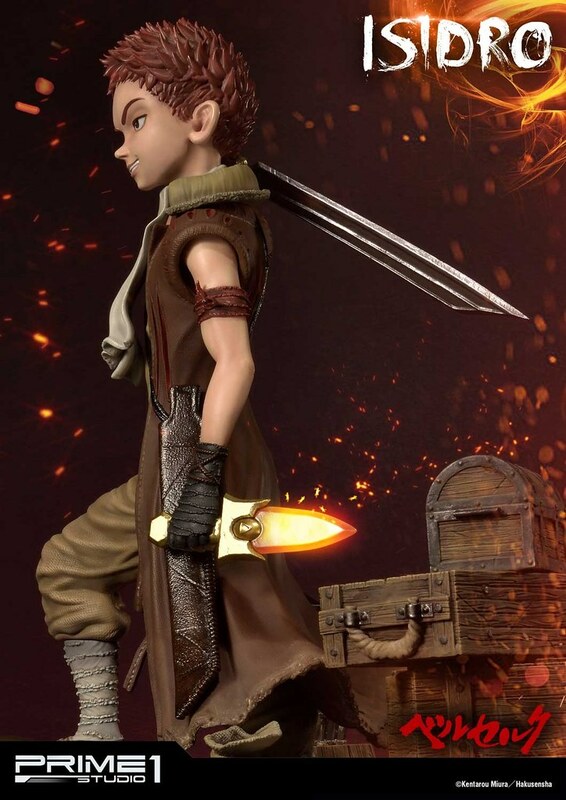 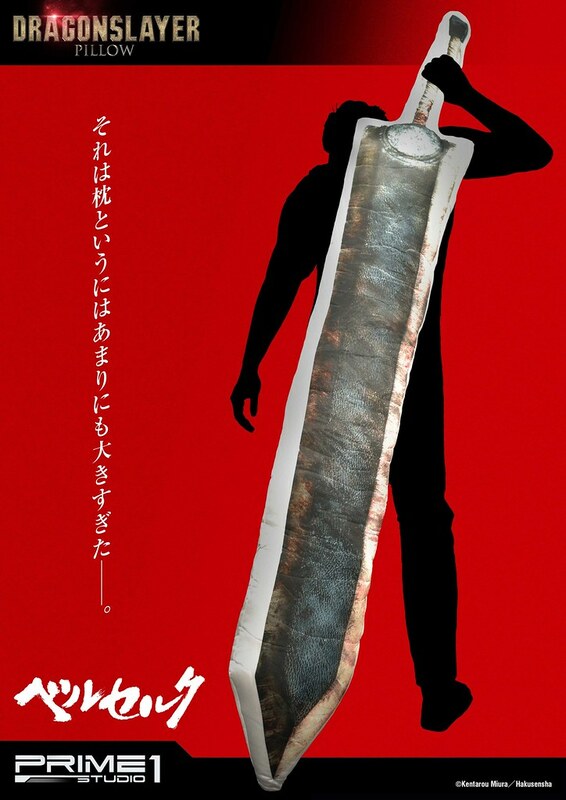 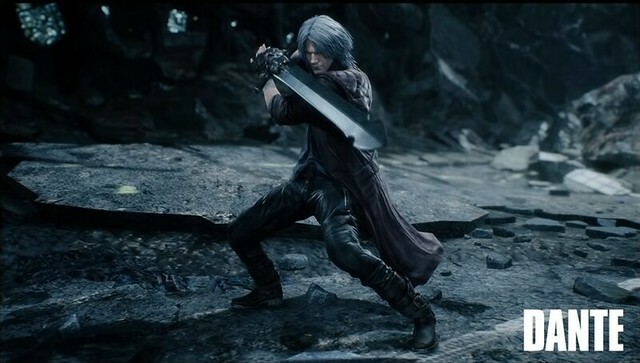 After seeing Guts' supreme combat skill, he decides to follow The Black Swordsman to secretly learn sword fighting; He often watches Serpico and Guts' fighting, plus the constant monster attack, Isidro Swordsmanship improved. 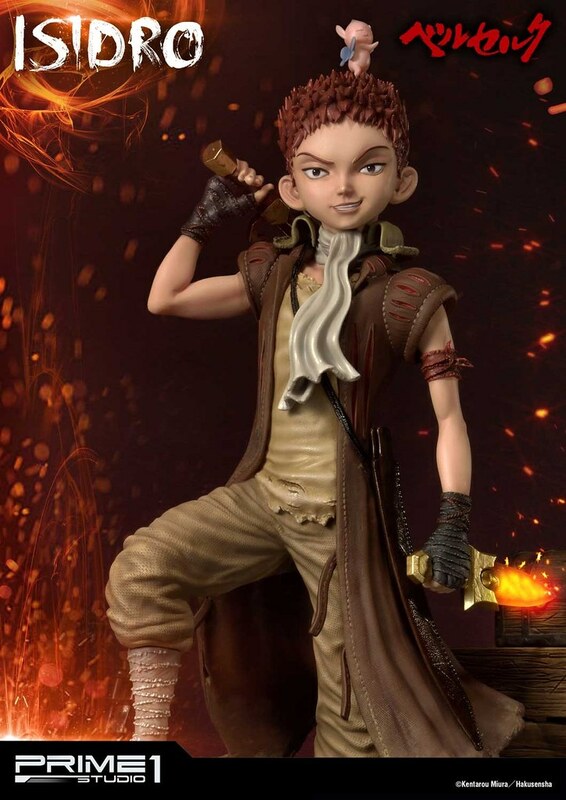 He and puck are the comic relief characters in the story. 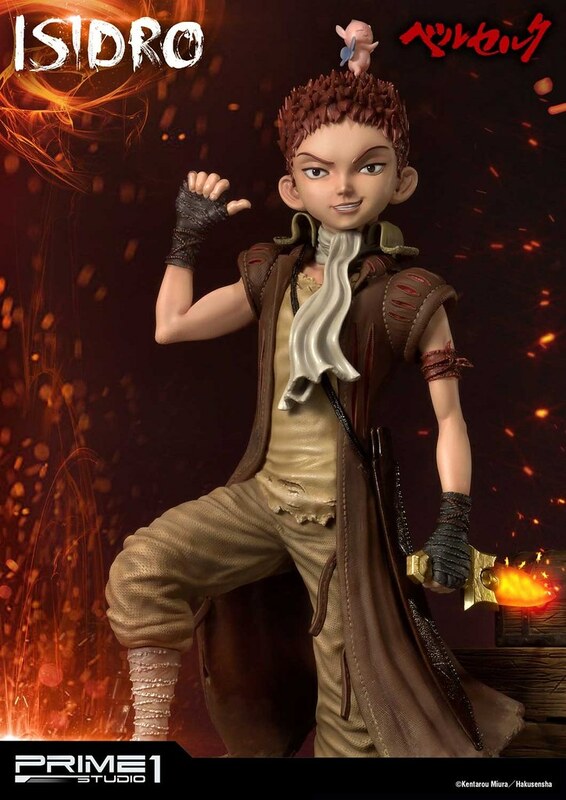 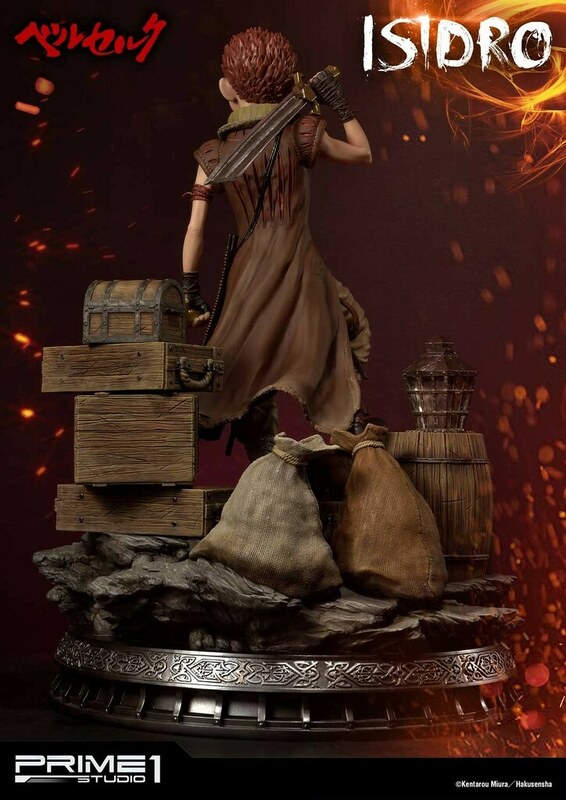 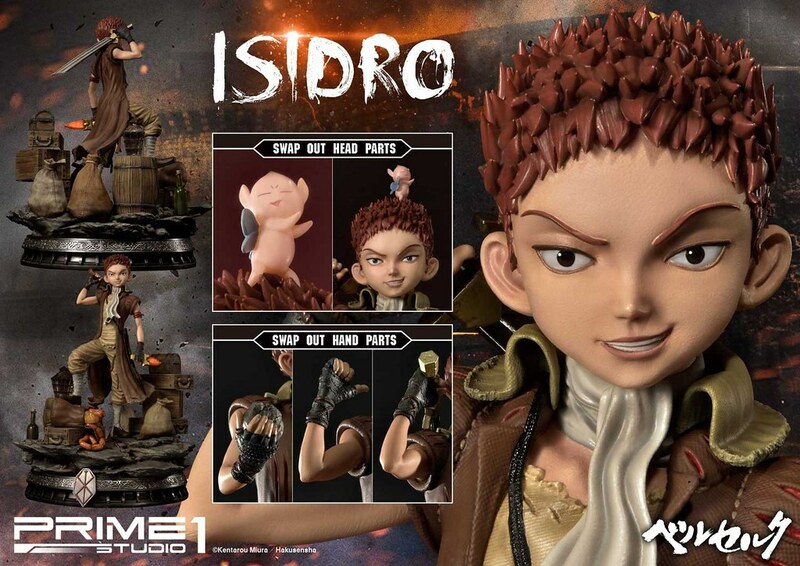 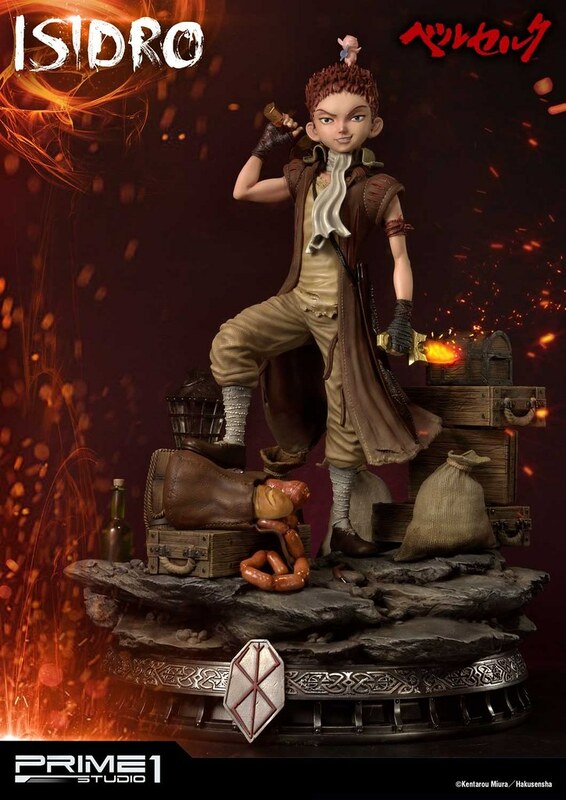 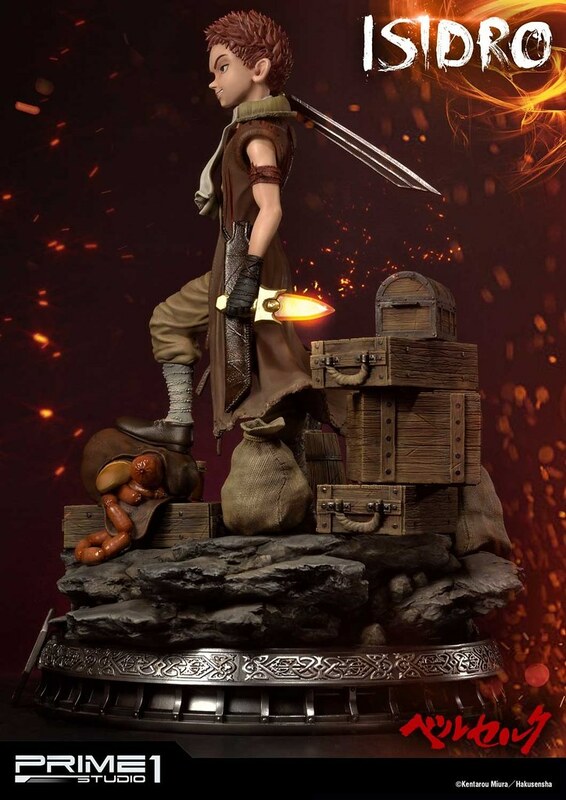 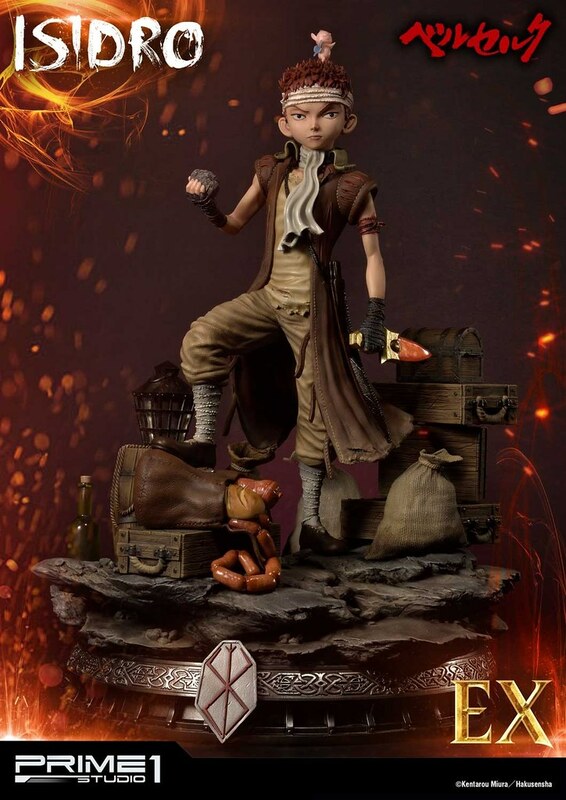 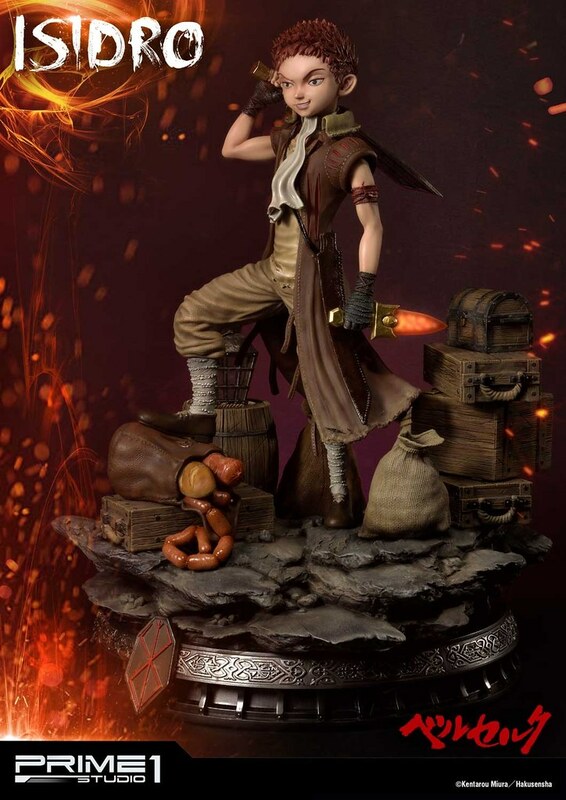 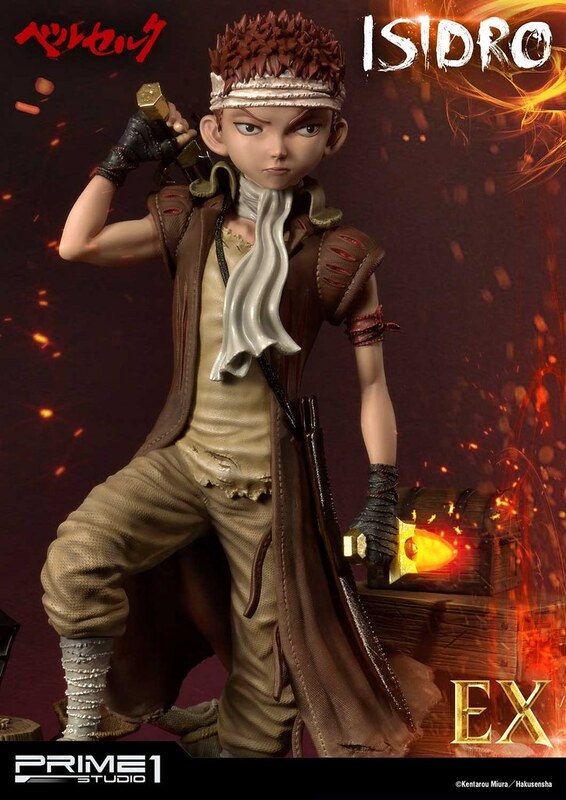 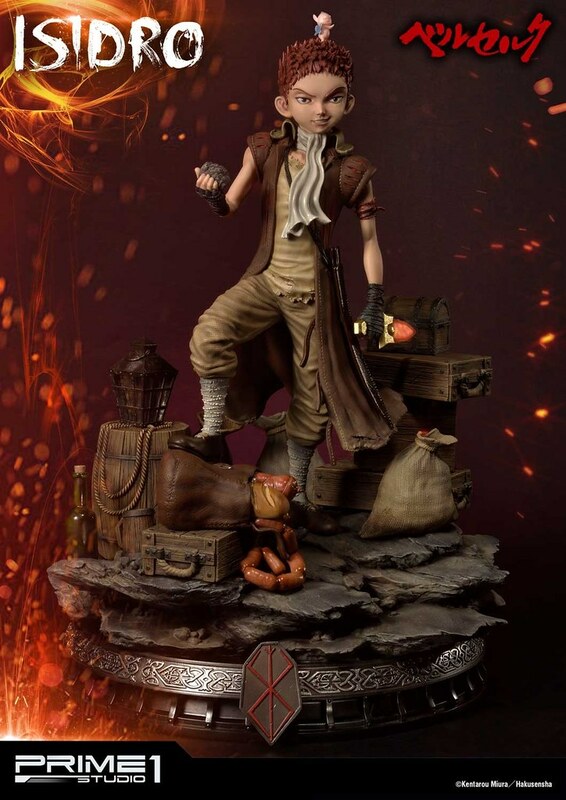 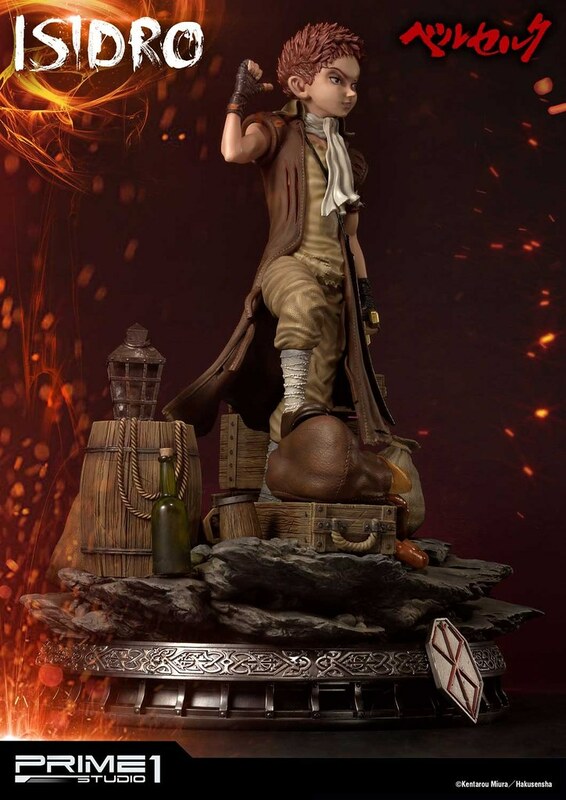 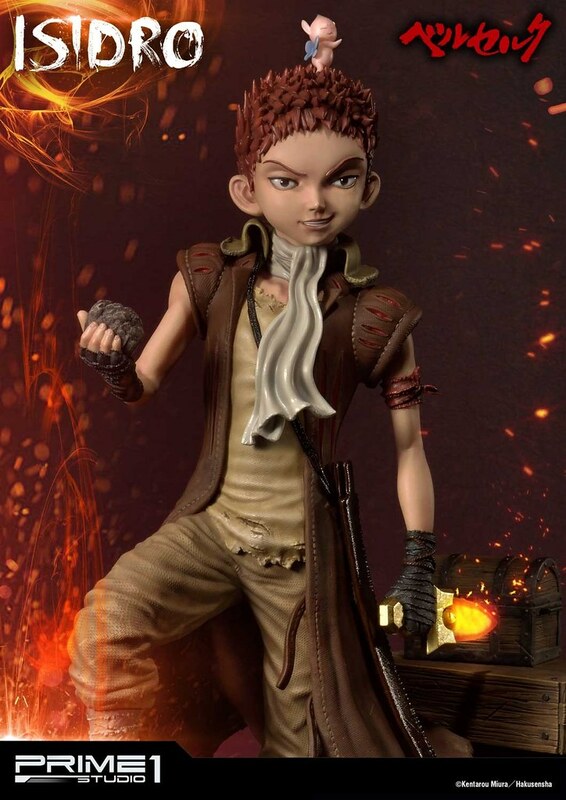 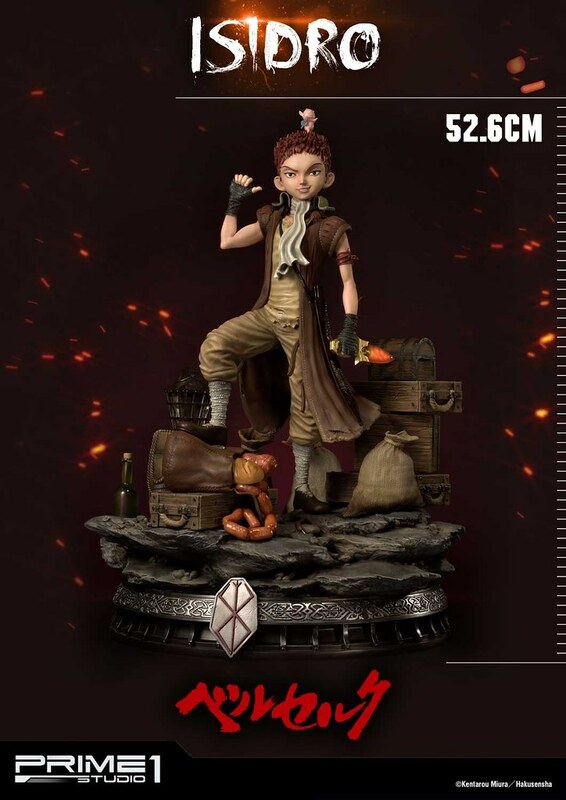 Isidro 1/4 Scale Statue stand 50cm, with him stepping on a bag of food with a confident smile and weather cloth and holes marks his journey. 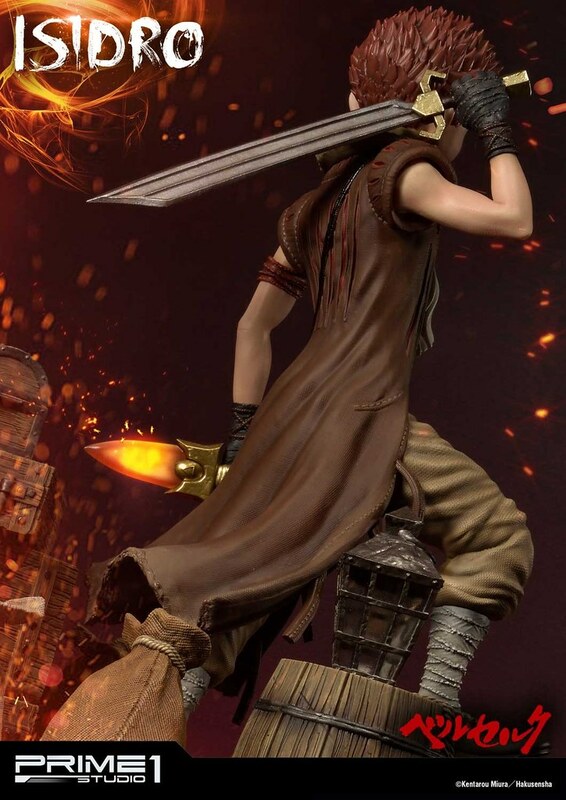 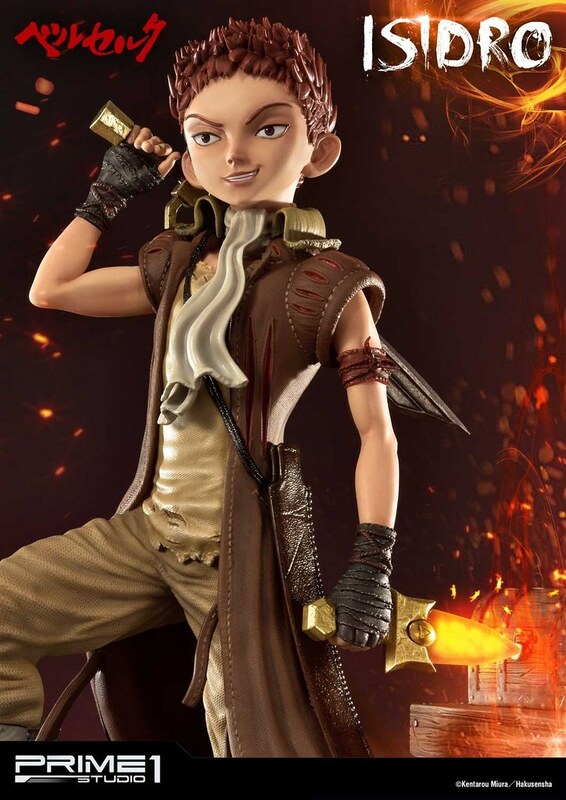 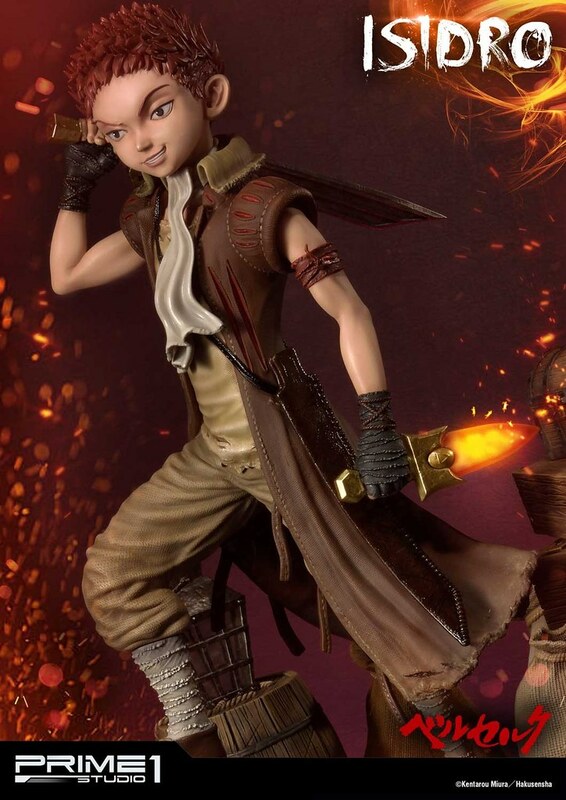 He wields the burning, fire elementals power "Salamander Dagger" on his Left-hand while exchangeable thumbs up, Cutlass, and hold rock on the right for different scenarios. 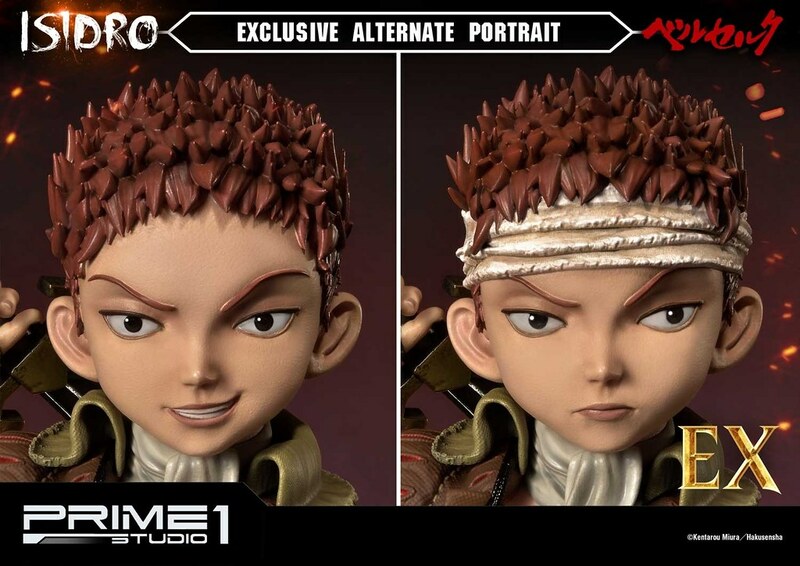 A 2 cm Puck is placeable on the head. 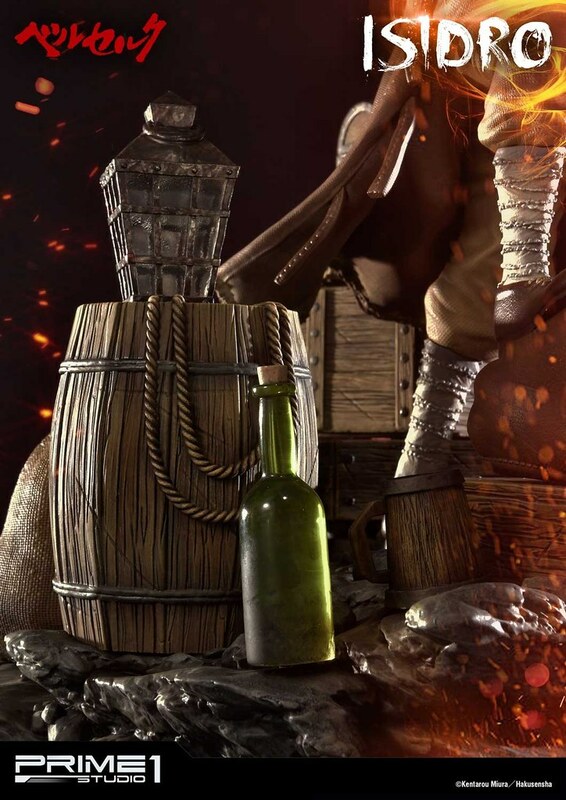 The base is filled with wooden box, barrel, wine bottle, and shiny sausage pouring out of the gunny sack on top of a stone flooring. 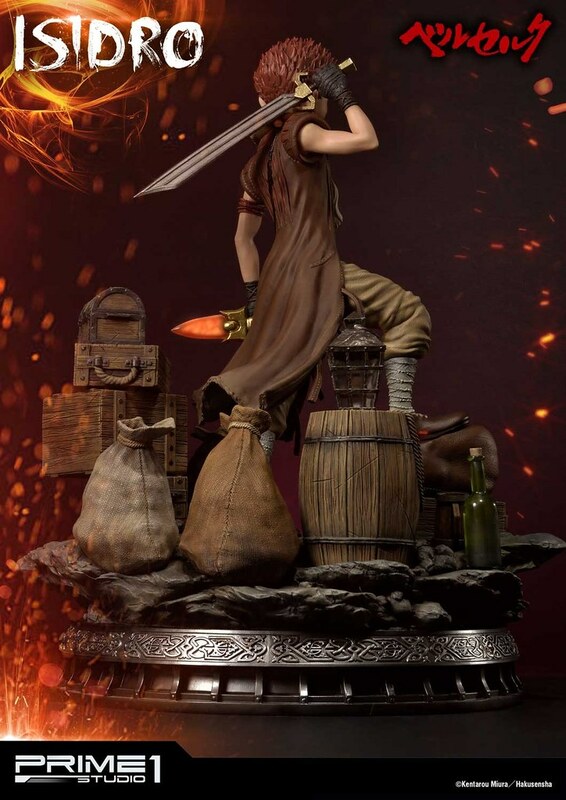 This had to be the most normal, non-violent base out of all the Berserk statues. 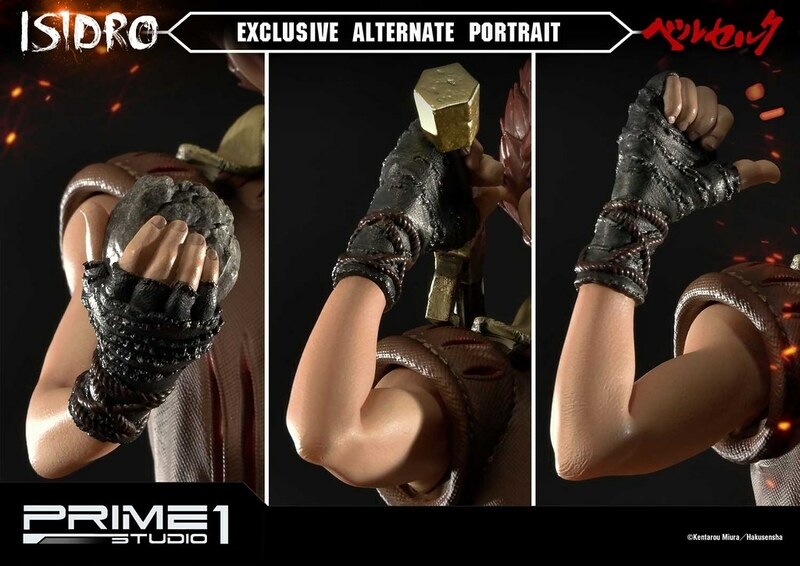 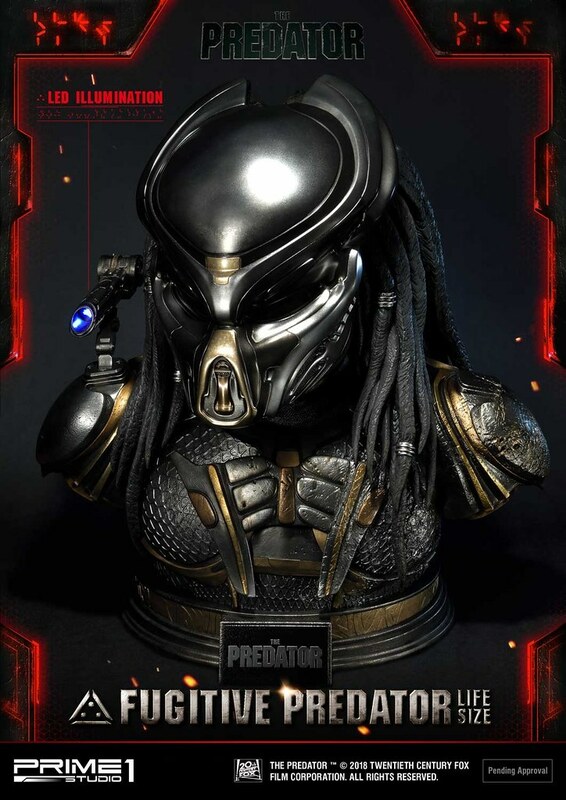 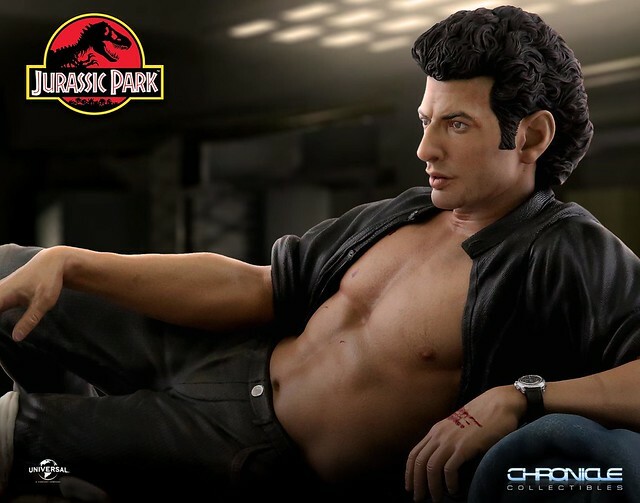 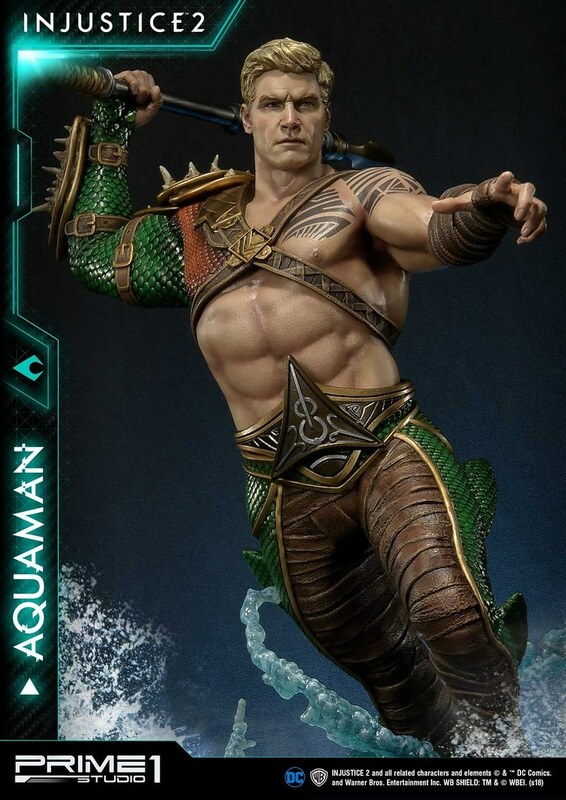 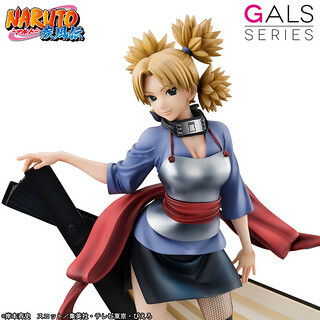 The exclusive edition includes bandaged head sculpt. 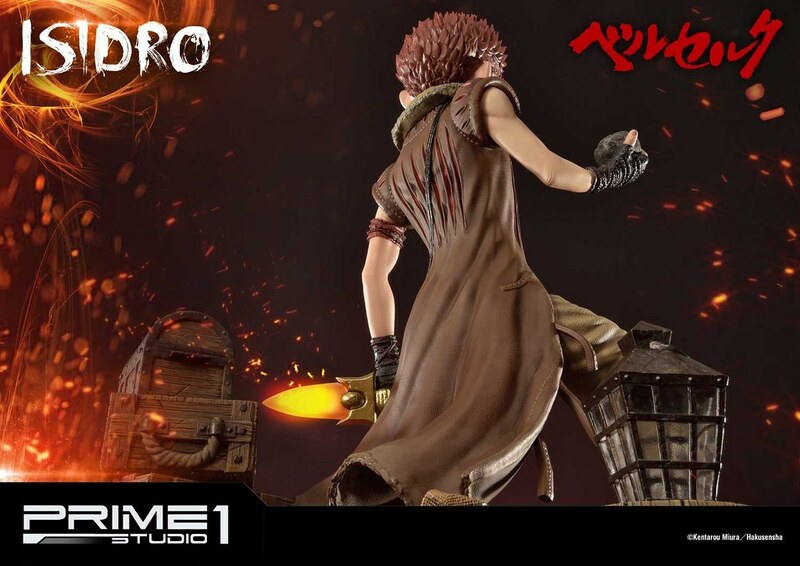 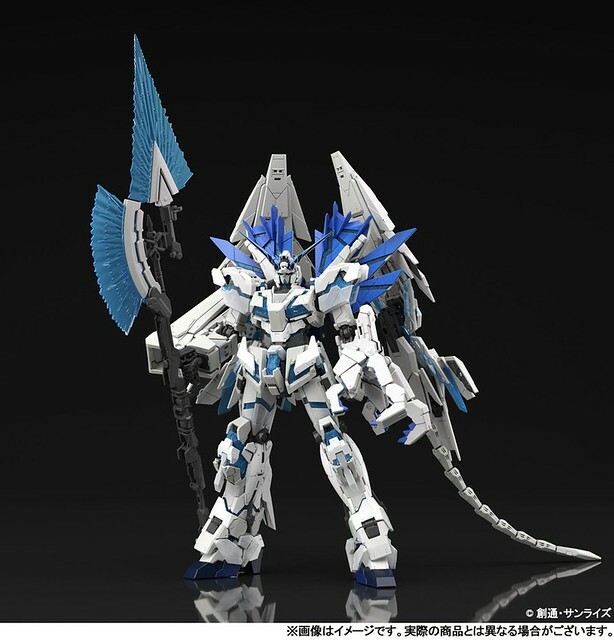 Estimate release date: December 2019~ January 2020.